In part one of this blog series, I described the basic definition of the typical packaging process and how many processes runtime actually get broken down and defined. In this second part of vision sensors in packaging, I will specifically describe how vision is used to reduce planned and unplanned downtime and compare discrete versus the use of vision to achieve the same goals of error proofing a process and runtime improvement. Planned downtime can encompass many planned activities. These might include time needed for changing over to another product type or package, performing routine maintenance, sanitizing the line, and operator breaks. For the sake of this investigation, we will only consider procedures that affect changeover or maintenance on the line, such as routine calibration or verification of discrete sensors and their fixturing during product changeover. A vision sensor can replace the discrete sensing method, reducing the changeover time to only the time needed to switch to a new software program and adjust any lighting (if required). In most vision applications, lighting and fixturing don’t usually require adjustment, so the total time for a product changeover with a vision sensor would be the time required to change the electronic program, which is typically less than one second. Unplanned downtime occurs when the line is shut down due to a run time error in the packaging process. This time is usually accrued in minutes, unless a line configuration process was improperly followed. If jamming occurs, unplanned downtime may take several hours to correct the improper setup configuration. Unplanned downtime is usually caused when a process jams or improperly packaged products are detected without dynamic or inline rejection. For every occurrence of unplanned downtime due to jamming, an amount of product might have to be discarded. That discarded product must also be included in the overall operating costs. By using a vision sensor, this type of unplanned downtime can be prevented or detected right away, thus increasing actual runtime and reducing waste costs. Both of these cost savings can be directly factored into the return on investment of the vision sensor. There are two key ways that implementing vision-based sensors can improve the scheduled line time. The first is reducing planned downtime during product changeover that requires fixturing changes. This is the area that vision sensors can have the greatest effect on improving the scheduled line time. This is a repeatable benefit that can dramatically reduce operating costs and increase the planned runtime. The other way is to decrease unplanned downtime by catching errors right away and dynamically rejecting them or bringing attention to line issues thereby preventing large amounts of waste. Examples of this include line jams that occur because of incorrectly fed packaging materials, miss-aligned packages, or undetected open flaps on cartons. Other examples could be improperly capped bottles that cause jams or spills and improper adjustments, or low ink levels that cause bad labeling. Implementing vision-based sensors in any of these examples can improve scheduled line time. Cost and reliability of any technology that improves the packaging process should always be proportional to the benefit it provides. Unlike the older, more expensive vision systems, today’s vision-based sensors can replace an entire discrete sensor array, and in many cases the fixturing as well. They do this at or even below the cost of the sensor array while also providing greater flexibility. They can significantly reduce manual labor costs for inspection, in addition to reducing planned and unplanned downtime thereby providing longer actual runtime during scheduled operation for greater product throughput. A vision sensing solution can typically be installed for under $2500, including fixturing, lighting and labor. (See Cost Example below.) 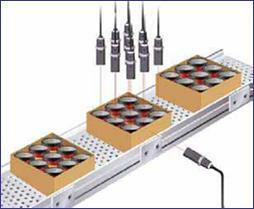 The vision sensor can also be changed over in functionality for the next package or product type within a matter of seconds with little or no manual intervention. In the cost example shown above, there is no significant cost impact to the machine builder to install a vision based solution, yet the impact on the time for product changeover is a significant and repeatable time benefit in reducing the user’s planned downtime. 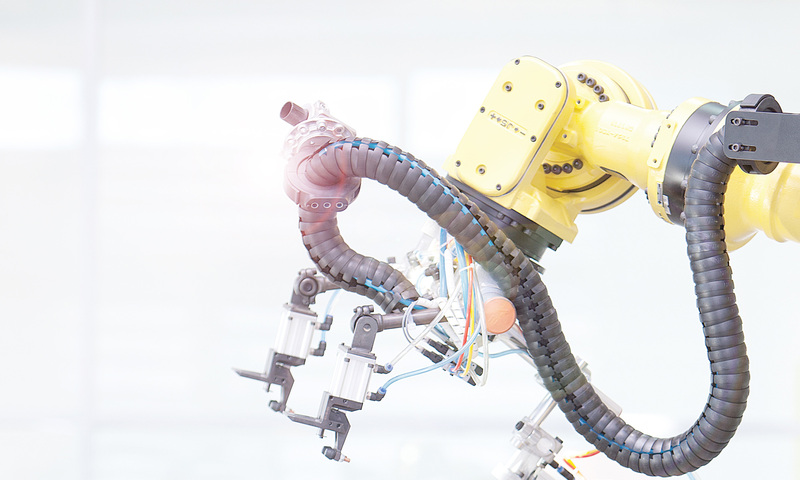 Moreover, the vision-based solution provides significantly greater flexibility to add additional product packaging types in the future on the same line with little to no additional sensor modification. In the last part of this series, I will show some specific examples of how vision sensors have been used in packaging and show two case studies exemplifying the benefits customers achieved using vision sensors.